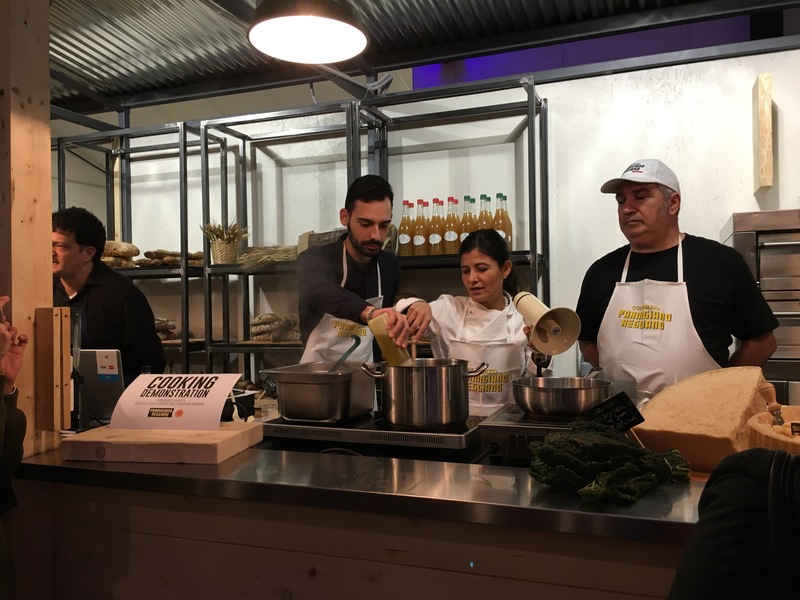 Food tasting at Mercato Metropolitano: Parmigiano and Parma ham week! It has been quiet on the blog recently so I thought the best way to come back was talking about food, my true love. 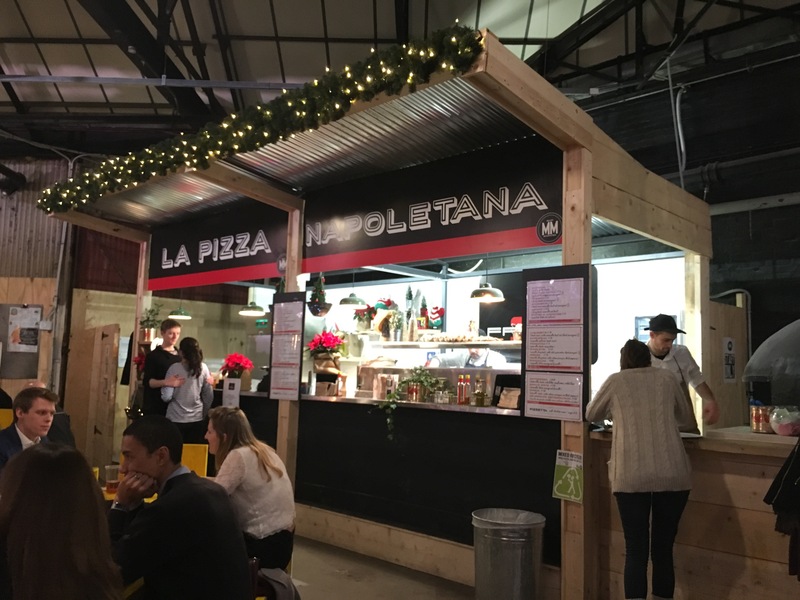 As you might know from a previous post, I am a massive fan of Mercato Metropolitano, the new Italian market that opened in Elephant and Castle/Borough area. When I was claiming it was “the closest place to Italian paradise” I wasn’t joking, it is a foodie paradise for sure! The actual market area has everything you could imagine and for us Italians it also has those products that you usually have to buy in Italy and put in your suitcase before returning to London (lievito Pane degli Angeli, anyone?). 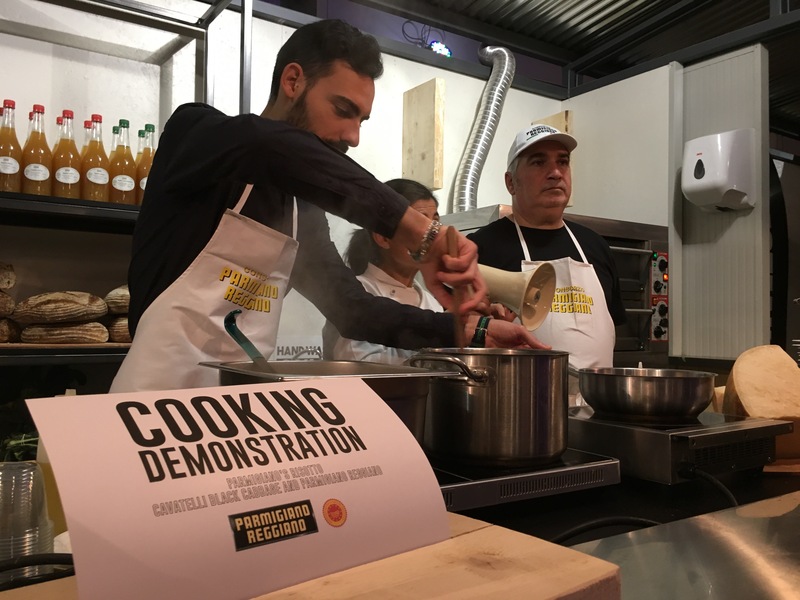 This week Mercato Metropolitano was celebrating Parma Ham and Parmigiano Reggiano. I was lucky enough to be asked to check some of the dishes out, so last night I headed there and I have to say that when I left I almost had to roll home! What I found out later was that the rice comes from an Italian producer who happened to be there doing a cooking demonstration, explaining the techniques for a “proper risotto”. 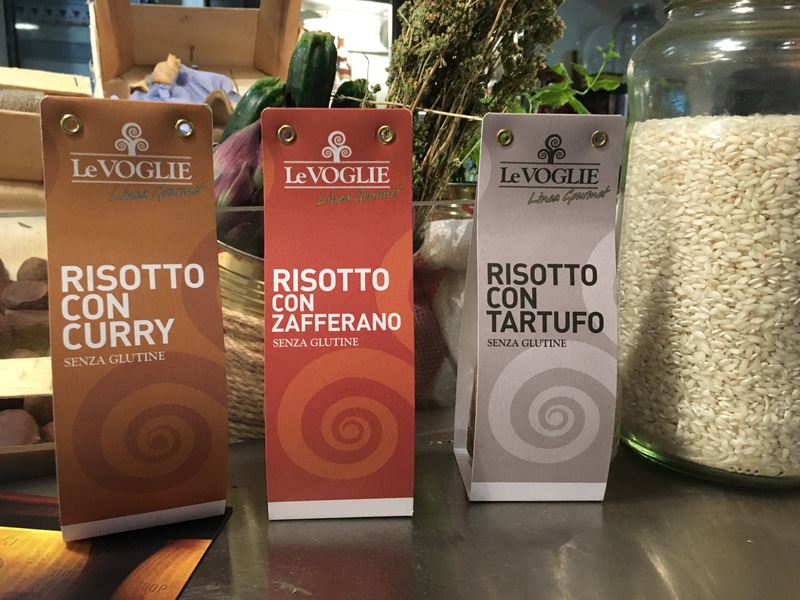 I could write a separate post on how to make proper risotto, all you need though is the right ingredients and 15min (+2) of your time. Most important thing: do not over cook it! 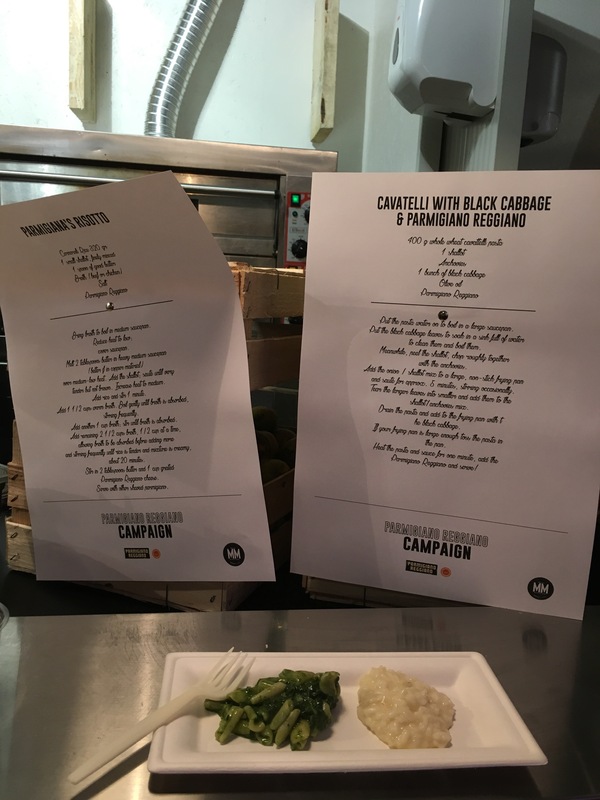 I also tasted the the pasta dish “Cavatelli with black cabbage & Parmigiano Reggiano”. 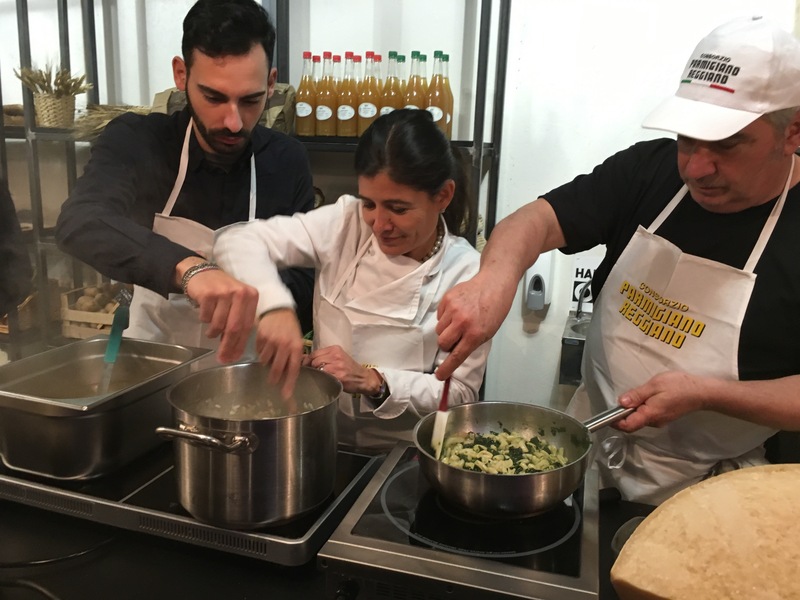 The special type of pasta was handmade by the owner of Vino e Cucina, a lovely gentleman from Tuscany. 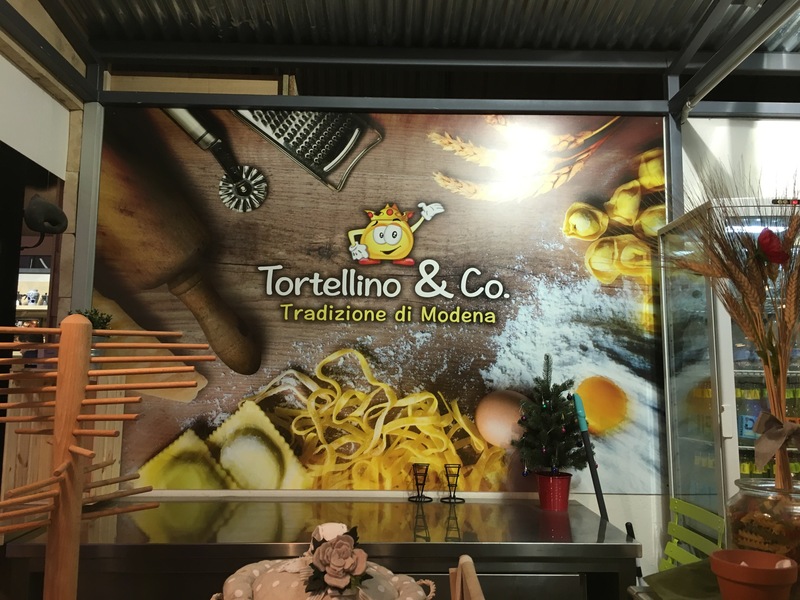 I haven’t had the pleasure of trying the pasta dish at Tortellino & co, mostly because I am not sure I could finish it. I will make sure, though, to go back to give it a try because an homemade tortellino is a very special thing. Lastly, how can you say no to a pizza? Impossible. So here I am, ordering the pizza of the day with parmesan and Parma Ham. Did I already say how much I love Parma Ham? It’s SO good. 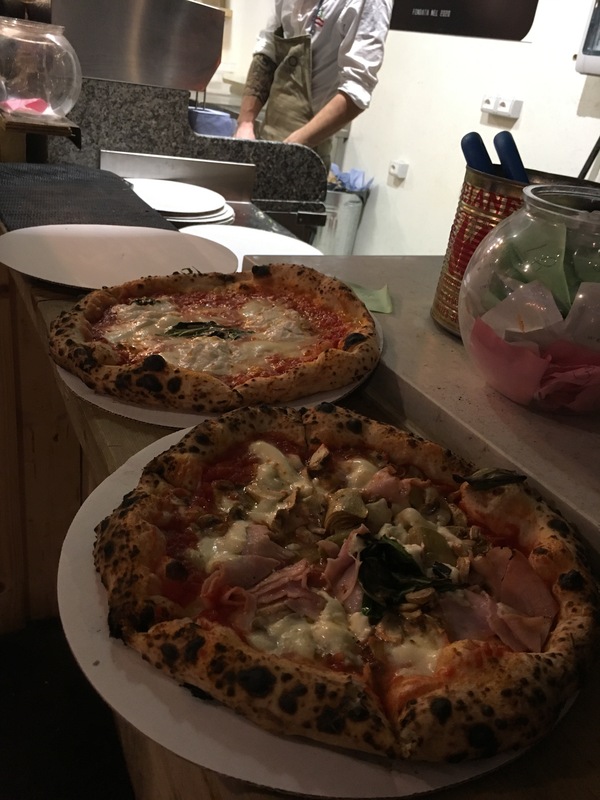 If someone asks me where to get the best pizza in London I instinctively reply: Franco Manca, also cause I’ve been going there since I moved here, when it wasn’t that popular yet. Well, I can now say that I will include this pizza in my suggestions to whoever asks! Doesn’t it make you hungry just to look at it? Perfectly cooked and with a beautiful smell. 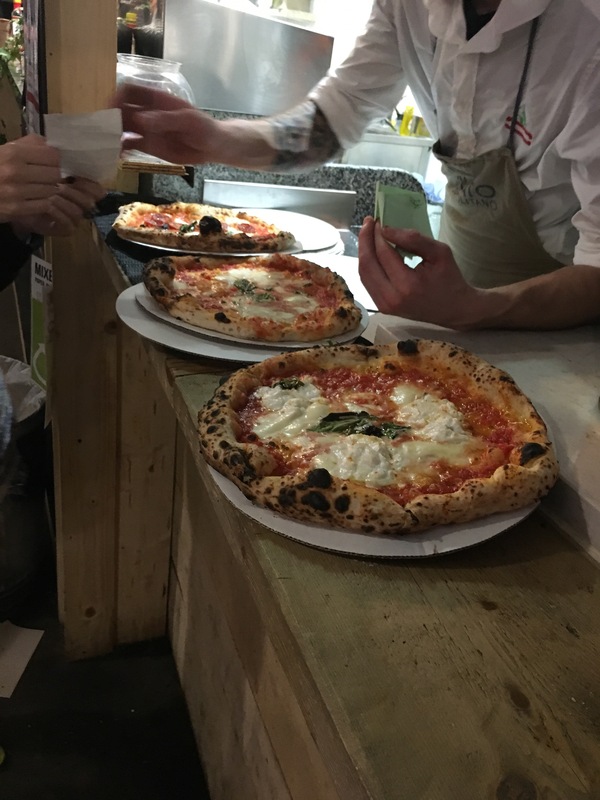 One last note, I read some reviews on the fact that Mercato Metropolitano is a bit pricey. I would personally say that prices here are average. 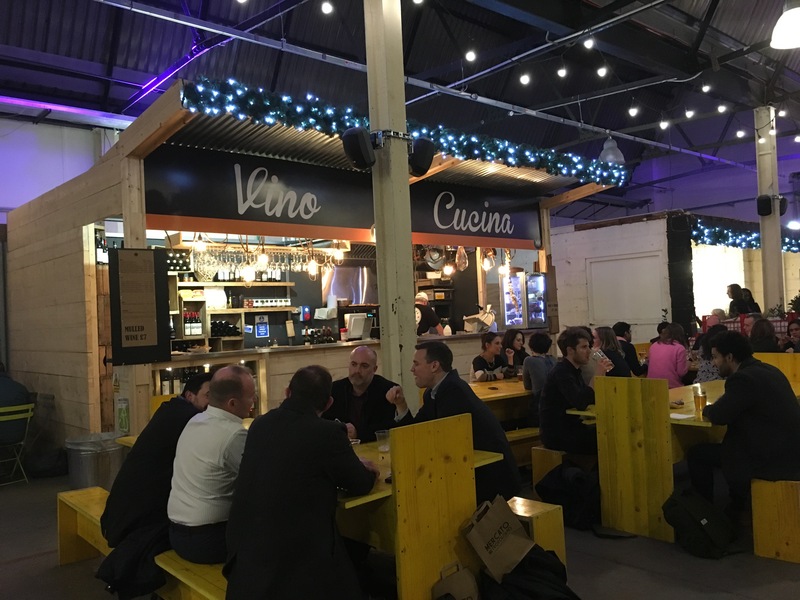 I would also say that I do prefer this place to Borough market, not just because it is Italian but also because it’s not that commercial yet. And also, I do feel a bit like at home when there. If you’re having a bad day and need some comfort, do go to MM maybe just for some food or maybe to have a chat with this or the other vendor. Ask them where they are from, what’s the speciality in their region, what food they would recommend. London needs a more “human side” and I do believe this could be achieved with good food and people that care about what they are doing. 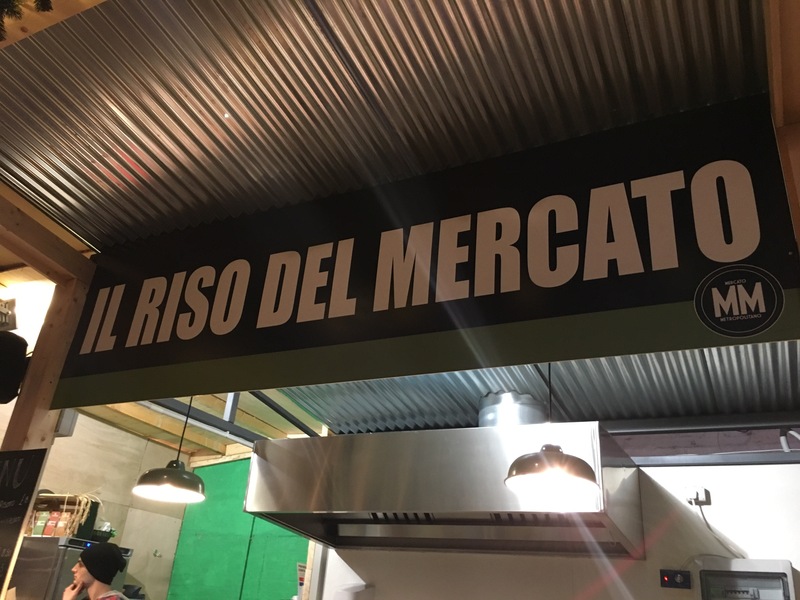 Thanks to Mercato Metropolitano and The Tom Sawyer Effect agency for having me. 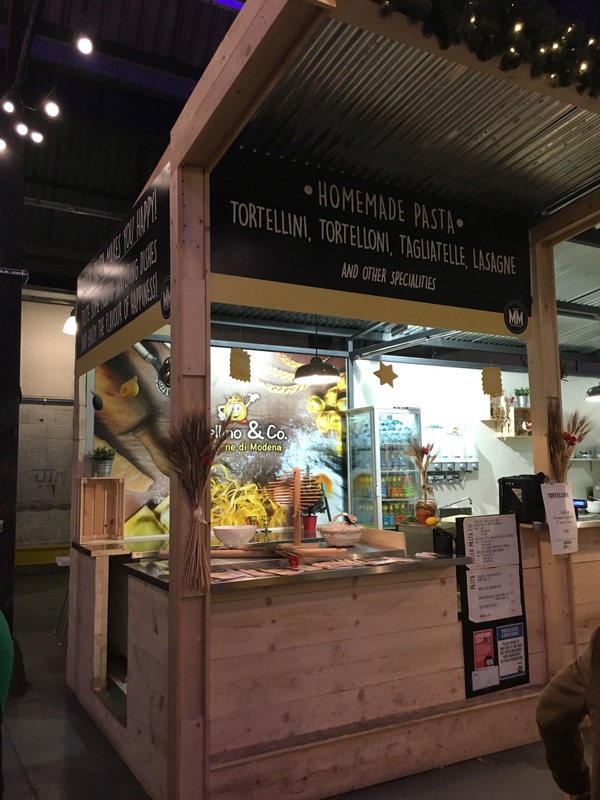 Make sure to follow them on Twitter: @mercatometropol and on Facebook. 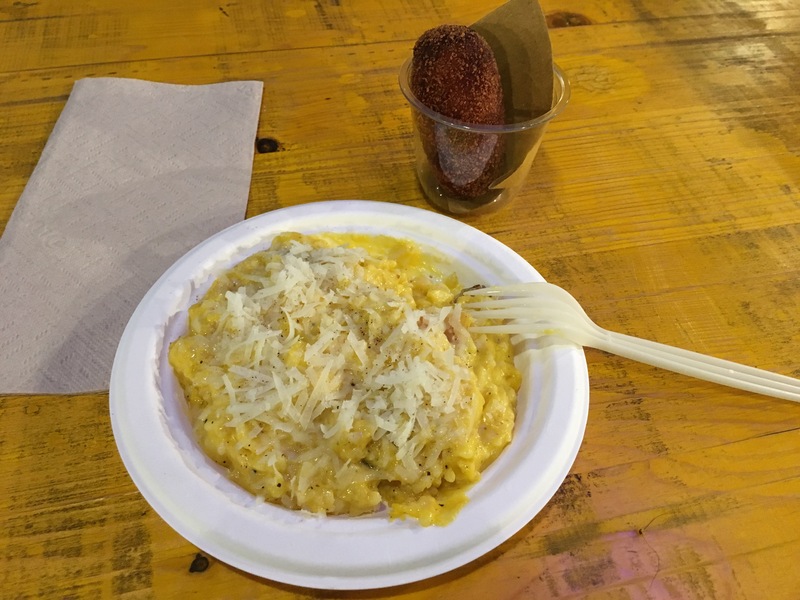 I’ve eaten Carbonara in Italy many times but I’ve never seen risotto alla Carbonara. How genius – it looks great!! I definitely will! Thanks for sharing!! PreviousWSET Level 1: how I got into wines. NextWeekend in Turin: Christmas lights, food & friends!